With not one but TWO wonderful literacy inspired events taking place at the start of next term, what better excuse could there be to take up the books, don a costume, and involve your students in a creative literacy journey with Bigfoot?! This year marks the 51st anniversary of International Literacy Day. Fifty-one years ago, UNESCO officially proclaimed 8 September International Literacy Day to actively mobilise the international community and to promote literacy as an instrument to empower individuals, communities and societies. Now International Literacy Day is celebrated worldwide, bringing together governments, communities, teachers, learners and experts in the field. On this day also International Literacy Prizes are awarded to people with outstanding solutions that can drive literacy towards achieving the 2030 Education Agenda. This year the focus is on innovation. Our Roald Dahl specialist buzz day is a great way to introduce the children to a few of Dahl’s memorable stories. The aim of the programme is for students to help Bigfooter in role, Beatrice, try and land her dream job at the library. But it’s a race against time; can she recognise and arrange the shelves in order of the chief librarian’s favourite author and books with your schools help?! *PLEASE NOTE: These KS1 and KS2 workshops work best if delivered in your school library if there is space, or a school hall. We would also need access to a computer/Ipad for some exciting video exchanges with Beatrice’s employer along the way. 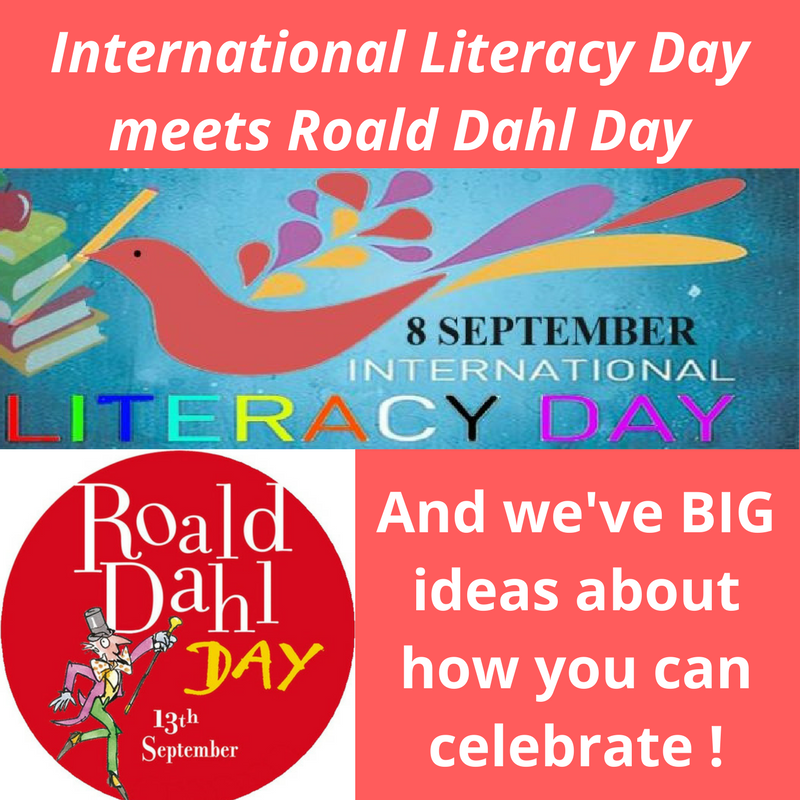 And if you’d like to join in the celebrations for Roald Dahl Day this year, the Roald Dahl Trust website has a FREE marvellous downloadable pack with everything needed to hold a party, whether you’ll be celebrating at home, in school or out and about!